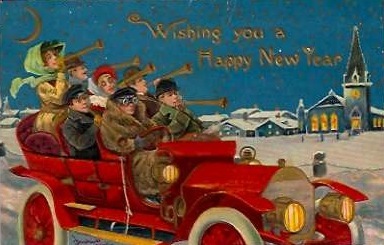 I share with you a postcard with a New Year’s greeting — a greeting for a year that was new 100 years ago. This colorful card was sent in 1909 to my grandfather from his cousin Violet Belz. 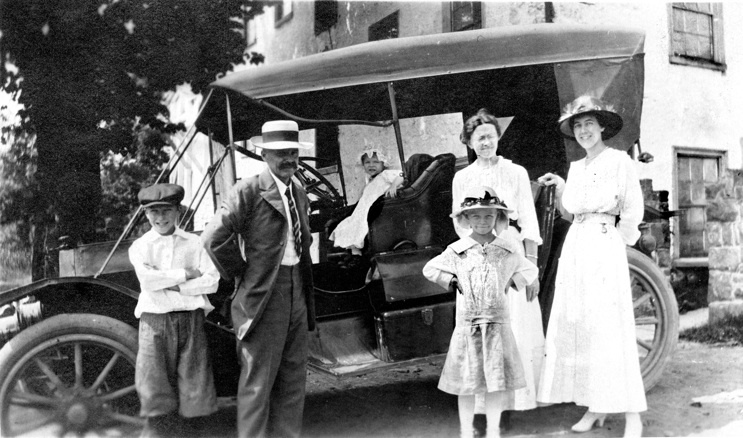 Below is a photograph of the White family of Tylersport, Pennsylvania, with Cousin Violet in 1913. Violet Belz. What a nice name. I wish I got cards like this but, shamefully, sending them out has fallen off my list of holiday chores (hard to complain about not getting them when I don’t send them). Something to work on, definitely.